Located in the less touristy North, Kalpitiya is a detour from Sri Lanka’s well-trodden ‘cultural triangle’. Providing empty beaches (a world away from the busy southern offerings) and prime kite surfing country. Home to a few families of local fishermen, recent attempts to turn Kalpitiya into a major beachside resort have stalled, so at present, it remains an unspoiled coastal paradise. 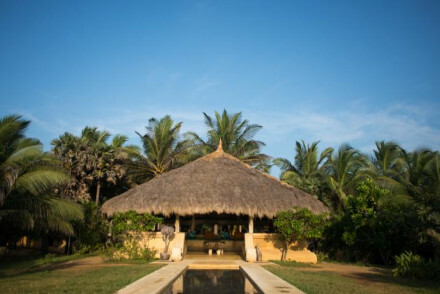 Our pick of the best places to stay in the Kalpitiya Peninsula are all great for laidback beach living. Benefitting from its so-called “dry-zone” locality, Kalpitiya does not receive as much rain during the monsoon. Visit between April and October for the best kite surfing conditions. Dolphin and whale watching trips are an absolute must whilst here. Many of the tour operators claim a “100% guarantee” for dolphin spotting. We like those odds! Hotels will be happy to organize a day trip to Wilpattu National Park home to elephants, sloth bears, leopards, water buffalo – the list goes on. Our pick of the best places to stay in the Kalpitya Peninsula are all chic, beach retreats located steps from the ocean. With its calm waters and long stretch of beach Kalpitiya is great for families. Palagama Beach has plenty of on site activities, plus kids will love the beach shack accommodation. Dolphin Beach features family suite tents and the chef is more than happy to cook up whatever the little ones desire. Those bathrooms! Udekki is a fabulously romantic boutique offering and is clearly jazz musician owner, Glen Terry’s passion. “If music be the food of love, play on” – this hotel has all three: music, food and plenty of love. With its own water sports school Bar Reef Resort is the place to go for those serious about aquatics. With stylish rooms and amenities the hotel’s not too bad either! Still not sure which to book? 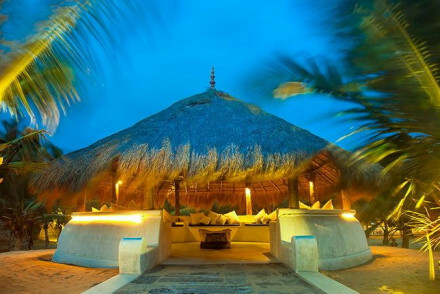 From a romantic to a family stay browse through our list of the best places to stay in Kalpitiya to start to plan your trip. Or contact one of our friendly gurus for advice. Chic resort with over a mile of private beach front. Eco-chic cabins are decorated in a simple yet comfortable style. 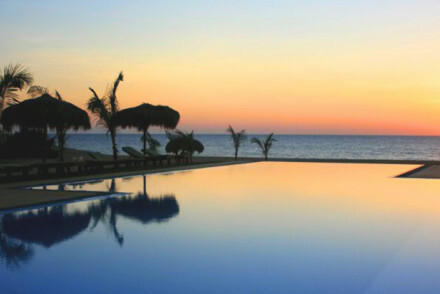 There is a stunning infinity pool with ocean views and plenty of al fresco dining spots. Fresh fish dishes are on the menu everyday. Popular with families, couples and kite surfers! Luxurious tented beach accommodation specialising in dolphin trips and water sports. Nine eclectic tents are dotted around luscious grounds and there are plenty of chic, shady lounge areas to relax. There is a tasty Sri Lankan à la carte menu but chef Nalin is happy to take requests. 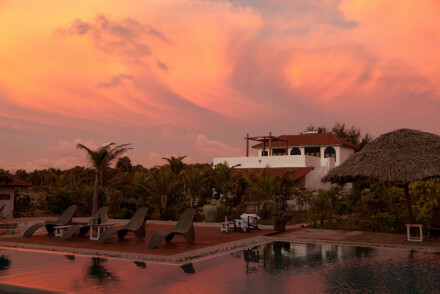 A collection of cabanas and villas metres from the beach. Rooms are decorated with bright, pop colours, a sit out terrace and huge outdoor showers (in some a bath). The restaurant serves a buffet breakfast and fresh seafood. There is a pool and spa. This is barefoot luxury at a reasonable price. Beach Life - Some of the cabanas are so close to the water if they were any closer you'd get swept away with the tide. Romantic Break - The four poster beds, private cabanas and sunsets make this a perfect romantic stay. Cooking classes - Organise a cooking class with the chef and learn how to make some traditional Sri Lanka 'hoppers'. Owned by jazz and blues musician Glen Terry this property has plenty of soul. Comprised of private villas and chic loft suites decor is a blend of North African eccentricities and Sri Lankan laid back lounge vibes. Whitewashed walls juxtaposed with rich colours and delightful outdoor baths. Divine.